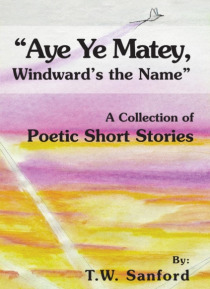 This collection of poetic short stories includes a glimpse of life, imagination, love, nature and beauty. It speaks to the hearts of all, explores the meaning of life and stares into the inherent sadness that such beauty can bring. Beginning with a love story on an open ocean with regrets of life choices and dreams bigger than life itself; it then turns to man talk on porches wide and ends with lo… ve poems only lovers should read.